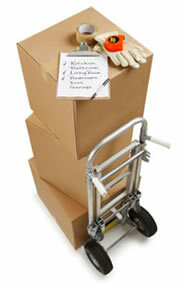 Bulldog Movers provides expert moving and packing services from friendly and experienced workers. You can depend on us for all your moving needs, whether you’re moving to a new home, apartment, or office. We can help you relocate locally, to another state, or even to another country. No matter the type of move, you’ll pay an affordable price that covers the truck, labor, local moving taxes and tolls, shrink wrap, blankets and tape. We even install floor and wall covering to help protect your home or office from damage throughout the moving process. In addition to professional service, we can also provide packing supplies, so you can turn to us for complete moving service, from start to finish.